Jarrah fencing is an incredibly attractive option for those looking for a natural fence while ensuring it is robust and long lasting. Jarrah is a native hardwood from W.A that grows in the Southwest. It is renowned for being versatile, durable and strong. Jarrah’s natural properties include a high resistance to weather, rot, termites and its density also makes it fire resistant. Early settlers made use of this sturdy wood for all kinds of building structures including houses, flooring, decking to fences. As such, you can often see Jarrah fencing as a popular choice in heritage areas. Jarrah trees grow in iron rich soil which creates a beautiful colouring, making it popular with those looking for a durable but aesthetically pleasing fence. Need high quality wholesale timber jarrah fencing supplies? Get in touch with the wholesale fencing experts today! 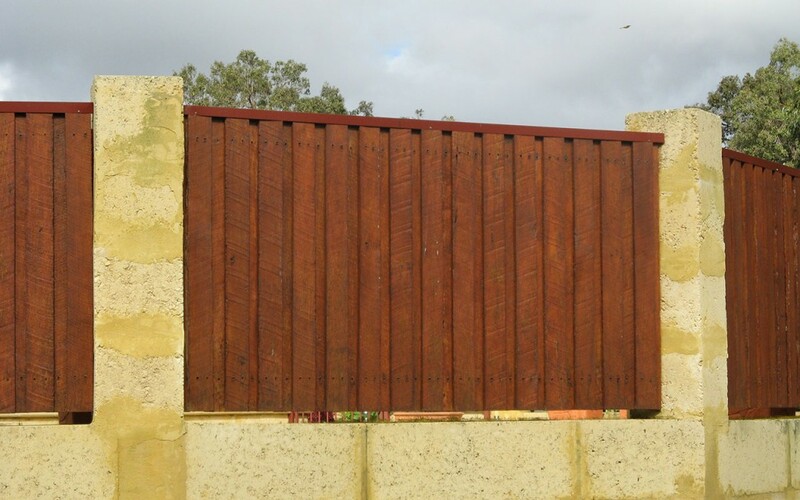 Buy your Jarrah fencing products wholesale through us today.